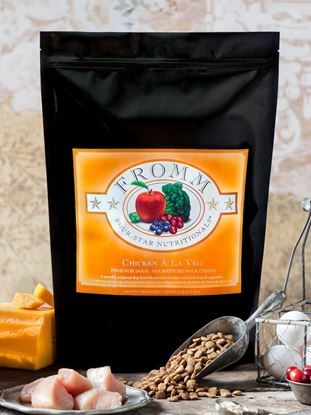 Fromm Family Large Breed Adult Gold Food for Dogs is specifically formulated for breeds with adult weights exceeding 50 pounds. 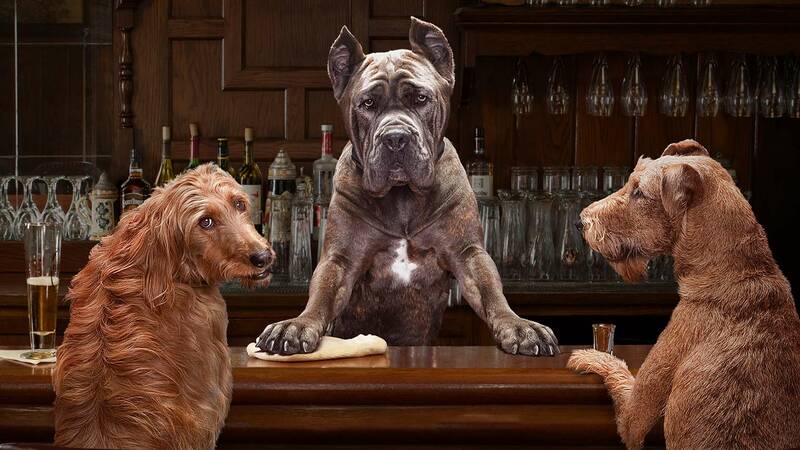 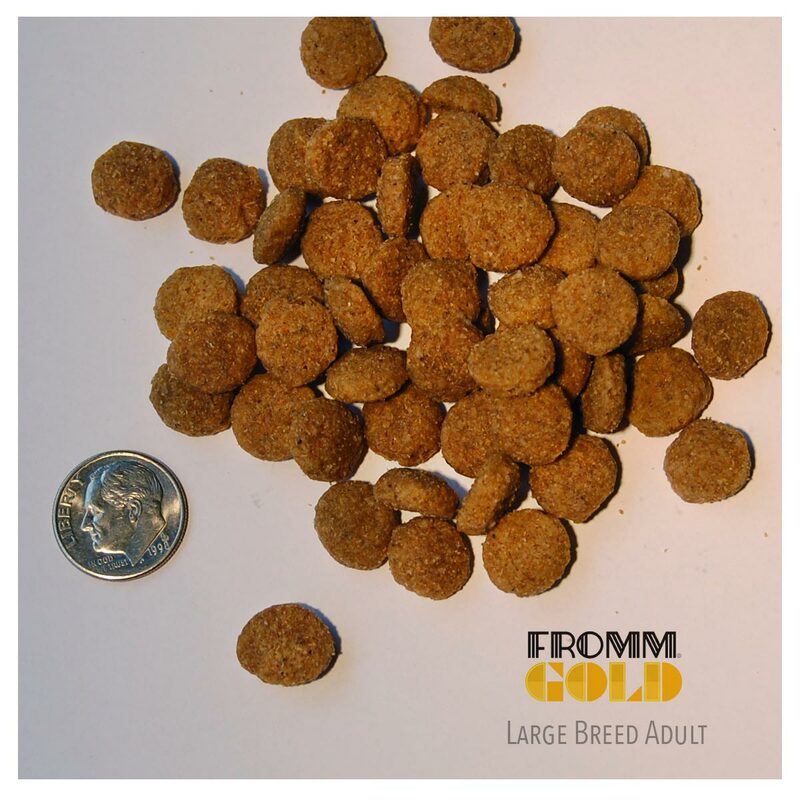 Large Breed Adult Gold is specifically formulated to meet the nutritional needs of the large breed adult dog. 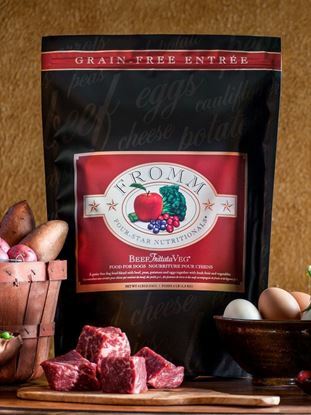 INGREDIENTS: Chicken, chicken meal, chicken broth, oat groats, pearled barley, brown rice, white rice, dried tomato pomace, dried egg product, whole oats, chicken liver, whole barley, menhaden fish meal, chicken fat (preserved with mixed tocopherols), potatoes, cheese, flaxseed, salmon oil (preserved with mixed tocopherols), duck, lamb, carrots, sweet potatoes, brewers dried yeast, celery, alfalfa meal, monosodium phosphate, salt, calcium sulfate, potassium chloride, chicory root extract, taurine, Vitamins [vitamin A acetate, Vitamin D3 supplement, Vitamin E supplement, Vitamin B12 supplement, choline bitartrate, niacin supplement, d-calcium pantothenate, l-ascorbyl-2-polyphosphate, riboflavin supplement, thiamine mononitrate, pyridoxine hydrochloride, folic acid, biotin], Minerals [zinc sulfate, ferrous sulfate, manganese sulfate, magnesium sulfate, copper sulfate, cobalt carbonate, calcium iodate, iron proteinate, zinc proteinate, copper proteinate, manganese proteinate, magnesium proteinate, cobalt proteinate], yucca schidigera extract, sorbic acid (preservative), dl-methionine, sodium selenite, l-tryptophan, dried Lactobacillus acidophilus fermentation product, dried Bifidobacterium longum fermentation product, dried Lactobacillus plantarum fermentation product, dried Pediococcus acidilactici fermentation product. 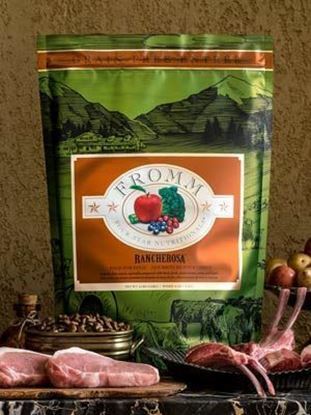 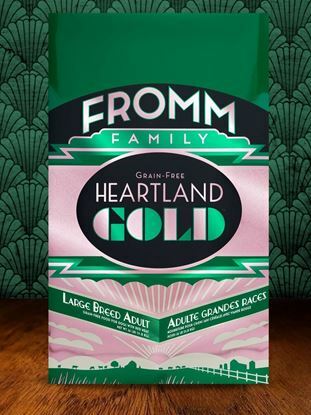 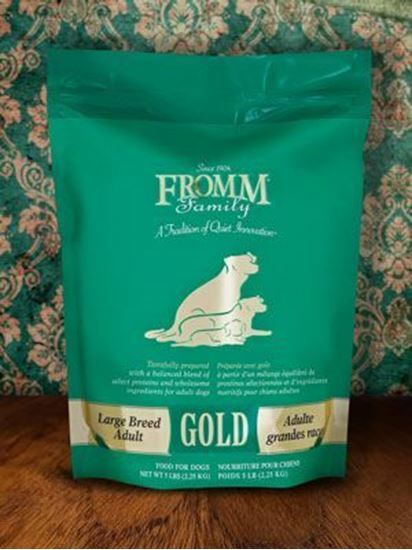 Fromm Family Large Breed Adult Gold Food for Dogs is formulated to meet the nutritional levels established by the AAFCO Dog Food Nutrient Profiles for growth and maintenance.